'As You Like It, ' which quickly followed, is a dramatic adaptation of Lodge's romance, 'Rosalynde, Euphues Golden Legacie' (1590), but Shakespeare added three new characters of first-rate interest-Jaques, the meditative cynic; Touchstone, the most carefully elaborated of all Shakespeare's fools; and the hoyden Audrey. Hints for the scene of Orlando's encounter with Charles the Wrestler, and for Touchstone's description of the diverse shapes of a lie, were clearly drawn from a book called 'Saviolo's Practise, ' a manual of the art of self-defence, which appeared in 1595 from the pen of Vincentio Saviolo, an Italian fencing-master in the service of the Earl of Essex. 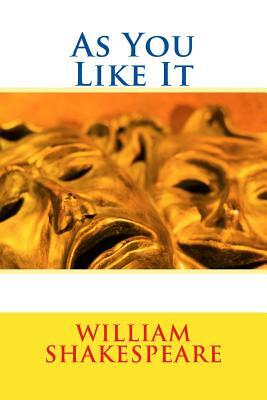 None of Shakespeare's comedies breathes a more placid temper or approaches more nearly to a pastoral drama. Yet there is no lack of intellectual or poetic energy in the enunciation of the contemplative philosophy which is cultivated in the Forest of Arden. In Rosalind, Celia, Ph be, and Audrey, four types of youthful womanhood are contrasted with the liveliest humour. The poet's birth and baptism. John Shakespeare's marriage with Mary Arden doubtless took place at Aston Cantlowe, the parish church of Wilmcote, in the autumn of 1557 (the church registers begin at a later date). On September 15, 1558, his first child, a daughter, Joan, was baptised in the church of Stratford. A second child, another daughter, Margaret, was baptised on December 2, 1562; but both these children died in infancy. The poet William, the first son and third child, was born on April 22 or 23, 1564. The latter date is generally accepted as his birthday, mainly (it would appear) on the ground that it was the day of his death. There is no positive evidence on the subject, but the Stratford parish registers attest that he was baptised on April 26. Alleged birthplace. Some doubt is justifiable as to the ordinarily accepted scene of his birth. Of two adjoining houses forming a detached building on the north side of Henley Street, that to the east was purchased by John Shakespeare in 1556, but there is no evidence that he owned or occupied the house to the west before 1575. Yet this western house has been known since 1759 as the poet's birthplace, and a room on the first floor is claimed as that in which he was born. The two houses subsequently came by bequest of the poet's granddaughter to the family of the poet's sister, Joan Hart, and while the eastern tenement was let out to strangers for more than two centuries, and by them converted into an inn, the 'birthplace' was until 1806 occupied by the Harts, who latterly carried on there the trade of butcher. The fact of its long occupancy by the poet's collateral descendants accounts for the identification of the western rather than the eastern tenement with his birthplace. Both houses were purchased in behalf of subscribers to a public fund on September 16, 1847, and, after extensive restoration, were converted into a single domicile for the purposes of a public museum. They were presented under a deed of trust to the corporation of Stratford in 1866. Much of the Elizabethan timber and stonework survives, but a cellar under the 'birthplace' is the only portion which remains as it was at the date of the poet's birth."